Recently Published Article By Chairman of Brown Brommel Dr. Okey Anueyiagu in a London Journal. 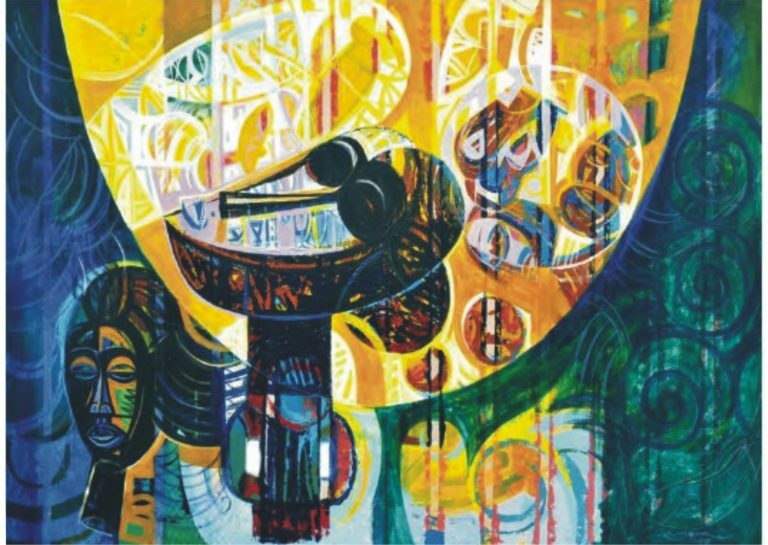 Onyema Offoedu-Okeke, an architect by training, is a self-­taught artist who at the beginning of his painting career, was considered an outsider, and was left out of the cannon of progressive Nigerian painters. His lack of formal art school training, in so many ways subordinated and or eroticized his works in the eyes of art critics and admirers. At that point, the almost manic or fantastical quality of his works, made the division between those that went to art school and those who didn’t, very insignificant. In Onyema’s works, that I have collected for about 20 years, and of which, I may be considered the single largest collector, I have learnt that works of art, are made in order to communicate messages. Through these messages, Onyema has been able to powerfully teach the art world, to view art, with immense generosity by creating awareness of the resourcefulness of Contemporary African Art. Born in 1967, in the city of Aba, South East Nigeria, Onyema studied Architecture at the prestigious University of Nigeria. After graduating in 1992, he embarked on a career as a full time studio artist, hosting and participating in several exhibitions around the world. He has written numerous essays, poems, and books on art, as well as on other social topics. In the area of Contemporary African Art, Onyema is considered to have created a creative niche. 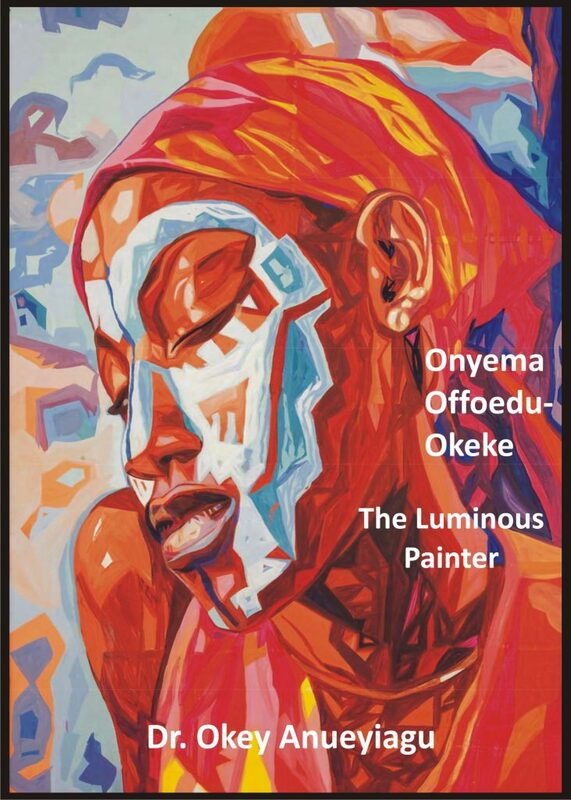 In 2011, I published a 260‐page book titled “Contemporary African Art,My Private Collection of Onyema Offoedu-­Okeke”. Extensively researched articles and contributions by art experts and admirers like Professor Chike Aniakor, Professor Sheri Ndibe, Dr. Ozioma Onuzulike, Dr. Francis Ugiomo, and Mr. Richard Howarth enriched this book. The over 200 Onyema’s works in my private collection, provide an impressive paradigm of an artistic advancement and avant-gardism that point his works in the direction of contemporaneity that is submerged beneath high embellishments and encompasses inventiveness as an integral component of art. I Bind in Onyema’s works, no matter the media, a clear definition and patterns that in progressive ways, point to the stable codes and narratives of traditional and yet universally accepted art. for astonishing juxtapositions as can be seen when he paints a landscape, Billed with wild colourful Blowers and birds, with wonderfully styled power of fluid lines, or a market place that drizzles acrylic on canvas with free‐Blowing human images in various configurations. These images and forms play mirage‐like tricks on the viewer. This is a radical new style of representation, developed and patented by Onyema, in which objects in the work are suggested by deep abstract signs, that minimally intervene in a planar field. Onyema’s originality is evident in this “drizzle” style as well as other invented styles of his that have become imbedded in the African Aesthetic lexicon. These styles have subsequently been copied and adopted into various and different manifestation by several artists. Over the years, Onyema has displayed in his works, a rich variety of poetics in the deep registration of the spirit of eclecticism, contradictoriness, cultural collage and curiosity. The many stories of his works, which are sometimes parallel and sometimes divergent, but more often intertwined, represent the story of an intriguing and precious passion. The extent of their tonal range, the variety of accents, and the ever emerging potential to inject dissonances that accentuate the harmony of the entire spectrum and dimensions of his works, are the dynamic elements that make his works stand out. The many questions raised in Onyema’s works address the relationship of traditional African culture and beliefs to the ideas and influences that colonialism has brought into Africa, and the attendant distortions and distractions. His art deeply probes the ways and manner these conflicting influences were brought into a mantic confrontation with one another. The intensity, by which these realities are addressed, is constantly evident in Onyema’s display of works with vast and immense tones of traditional minstrel and foreign paradigms, with visions honed or shaped by the harsh realities of the times. 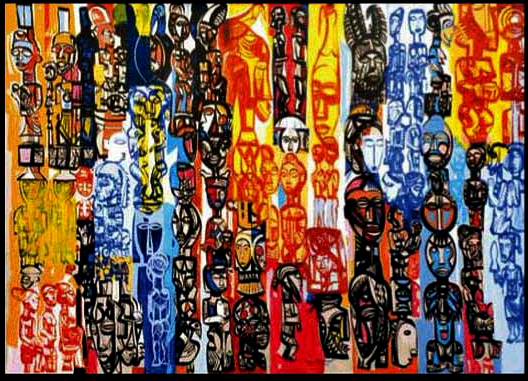 As an ardent art collector, and one that has collected and followed Onyema’s works for about 20 years, I am confident that Onyema, in many ways has come to redefine how the world looks at African art today. He is indeed one of the pioneers in the art of representing the multiple, shifting dynamics and realities of Contemporary African Art. He will represent a major part of the future of African art, and potentially of the world, if he remains true and faithful to his original concepts, attitude and leanings.